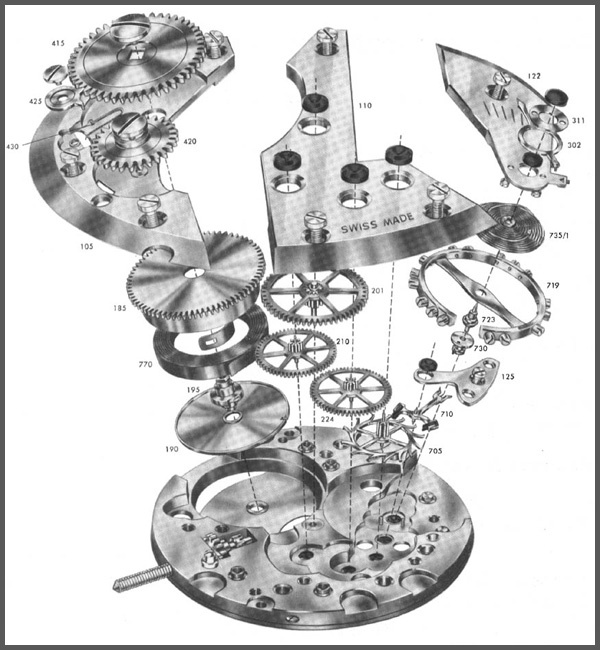 Please find below a gallery of images taken from the Ebauches SA Dictionnaire Technologique which displays and correctly shows the part numbers assigned to each watch part. Each page is shown with an image of the part number that is assigned to it. Find below other information and documents designed to aid watchmakers in identifying watch parts. More documents will be added over time so please be patient. For movement identification info please click on the Identify Movement Tab above.